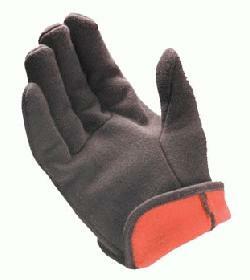 Cotton Jersey Gloves Provide Light Duty Comfortable Hand Protection. Double Layer Glove with Red Jersey Lining for Extra Protection from Cold. Color Knitwrists to Keep Cold and Debris Out of Glove. Brown Color Hides Dirt and Extends Wear.